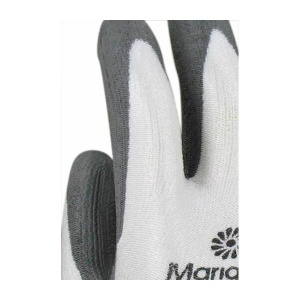 The Marigold Industrial PU900 Dyneema Gloves are comfortable, flexible and strong spandex and Dyneema gloves with PU-coated palms for enhanced resilience. These gloves provide excellent protection against abrasion, cut and tear, which makes them ideal for industrial assembly, finishing and handling of components and parts. 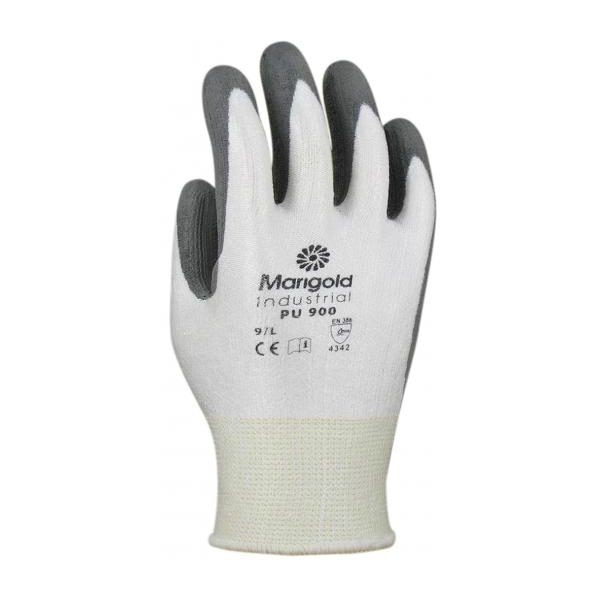 The Marigold Industrial PU900 Dyneema Gloves are manufactured from stretchy spandex and Dyneema – a lightweight, high-strength fibre – with PU-coated palms for added strength. As a result, these gloves provide exceptional protection against abrasion, cut and tear, while still retaining flexibility for user comfort and dexterity. The table below shows the test results of the Marigold Industrial PU900 Gloves according to EN 388 Mechanical Risk specifications. These gloves are available in a choice of sizes, making them suitable for most users. Please consult the table below for details, then select the required size from the drop-down menu at the top of the page. The gloves have a length of 196 - 252mm.